The modern oil industry employs many safe and effective fracturing methods to enhance the flow of oil from producing wells. This was not true during the early annals of oil exploration and production. Nitroglycerin was first used in 1867 to “shoot” a well in an attempt to enhance production. The experiment was a success and led to The Roberts Petroleum Torpedo Company obtaining a patent on the process. Independent shooters, unwilling to pay for rights to the process, often shot wells at night earning them the nickname “moonlighters.” The patent expired in 1883. Shooting a well consisted of a shooter filling a metal canister with nitroglycerin. The canister was lowered into the borehole of a well and ignited, the resultant blast sending mud, water and oil high over the crown block. Nitroglycerin is highly explosive. A half gallon can supposedly blow a hole in the ground large enough to bury a freight train. It is also unstable and very dangerous to handle. Accidents often occurred. Despite the risk, shooting a well greatly enhanced the flow of oil and gas and the process continued until safer more effective treatments were found. One note of interest: Clark Gable worked in the oil fields of Oklahoma before becoming an actor and reportedly sometimes assisted in the shooting of wells. Here is a recipe for Conch Fritters I found at http://www.bahamas-travel.info. Believe me; they taste great, but good luck finding any conch unless you live in Florida! Combine all ingredients (except oil) in a large bowl. Blend well. Heat oil in deep frying pan or pot until water dropped into oil sizzles. Drop batter by the tablespoonful into hot oil. Fry until brown. Drain on paper towels and serve. My Aunt Dot is the family historian and probably knows more about north Louisiana than anyone alive. She sent me this interesting email after I published the piece on the Great Red River Raft. I’m passing it on for those of you as interested in the history of Louisiana as I am. Just read your log on Jefferson, Texas. You do know that our ancestor Larkin Edwards was an interpreter for the Caddoes. In the Caddo Treaty of Cessions of 1835 the Caddoes gave Edwards his choice of property. He chose a square mile of land, said that was all he wanted, that is now downtown Shreveport. The next year he turned around and sold it to eight men for five-thousand dollars. They formed the Shreve Town Company. The eight men were: Angus McNeil, James Cane, Wm. Bennett, Bushrod Jenkins, James Pickett, Sturgis Sprague, Thomas T. Williamson, and Captain Henry Miller Shreve. There is a lot of info on Larkin Edwards. Unfortunately, a lot is not correct. I have copies of documents from the Shreveport Court House that a Katherine Jeter sent to me. She was or is an attorney in Shreveport who had her office on Edwards Street (this was named after Larkin Edwards). I never got to meet her but we talked by telephone a number of times. She was very interested in the information of Larkin Edwards. We exchanged Christmas cards for a while; I think she was somewhat older than I, so she might have died or retired or whatever. She was with the law firm of Tucker, Jeter, Jackson and Hickman. I did get to visit with a distant cousin, Ashley Sibley, before his death. He had a museum, Grindstone Museum, off some road coming out of Shreveport. He was a very nice old gentleman. He was descended from Larkin through his daughter, Mary and we were through the daughter, Emily Jane. Emily Jane married James Schenick. 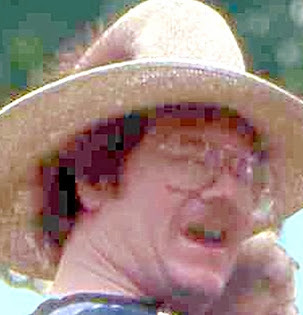 Jeems Bayou was named after James Schenick. Mary Edwards married Jacob Irwin; I believe he was a gunsmith. The Red River begins in Colorado and flows east, toward Louisiana. It forms a physical barrier between much of Texas and Oklahoma, Texas to the south and Oklahoma to the north. In 1806, President Thomas Jefferson sent Peter Curtis and Thomas Freeman to explore the southern portion of the Louisiana Territory. They found the Red River clogged from bank to bank with trees, brush and impenetrable debris. The Great Raft acted as a dam, effectively raising the water level north and west of what is now the city of Shreveport. This system of interconnecting bayous and lakes, with time, became a watery pathway from New Orleans to Jefferson, Texas. What did Jefferson have that brought up to 15 riverboats a day from New Orleans? It was cotton. Michener talks about the superior quality of East Texas cotton in his novel Texas. Fortunes were established and antebellum mansions sprang up around Jefferson as goods and celebrities reached the booming town. At one point, Jefferson was the largest seaport in Texas. In 1872, the Corps of Engineers attacked the Raft with snag boats, an invention of Captain Shreve, the founder of Shreveport. The snag boats, along with the help of explosives, cleared the Raft within the year. The result was a drop in the area water level. The lakes and bayous no longer interconnected. The riverboats that had plied their trade, up the Mississippi River from New Orleans, to the Red River, Caddo Lake and finally Jefferson, could no longer make the trip. Farmers found new methods to get their cotton to market and, like a jilted lover, the City of Jefferson faded into a mist of distant memory. Here is a pic of a vine growing on my friend Dave Beatty's back porch in Livingston, Louisiana. The flowers are pretty but I have no idea what they are. Some type of clematis?